Diamonds hold a variety of telling characteristics. Easy to see why diamonds are graded and categorized by the industry using four characteristics which are considered the most important in determining a diamond’s value. Since this is the criteria diamond jewelers use when grading diamonds, it’s definitely something you’ll need to understand as you set out to make a diamond purchase. Diamonds are measured by carat weight. Because large diamonds are rare, the price of a diamond increases with size. The cut of a diamond is the most noticeable characteristic. Decidedly the most challenging, of the four diamond characteristics to understand. 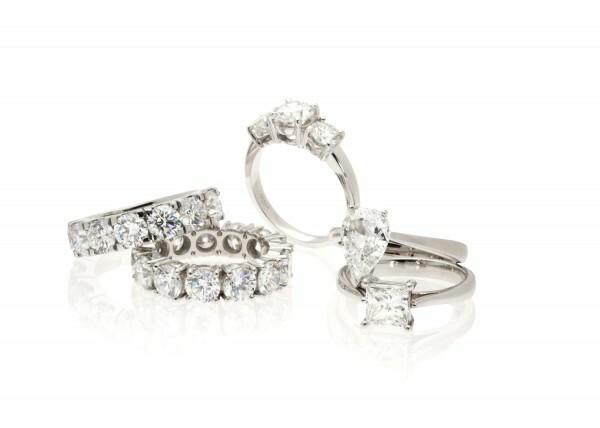 The diamond cut is responsible for giving life to the true brilliance of a diamond. Diamonds contain inner flaws, or inclusions, that occur as the diamond develops. The clarity of a diamond is considered by number and size of these inclusions. Diamonds that are clear create more brilliance, and thus are more valued at a higher rate. The more colorless a diamond’s appearance, the more desired it is since they allow the most refraction of light and give a diamond that wonderful sparkle. Whereas, off white diamonds absorb light and inhibiting brilliance.